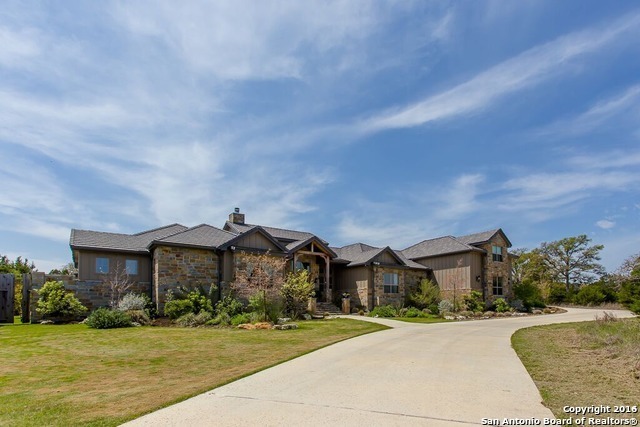 Fashioned after an Idaho mountain retreat, this 3 bedroom 3 1/2 bath home is placed on 3 acres in the prestigious Cordillera Ranch. This magnificent home features soaring ceilings and an open floor plan, a chef's kitchen, Control 4 video and sound system, 1000 feet of fanned, covered and screened porches. Game room with bar and kitchen. Beautiful hill country views, a Rainwater system with a 30,000 gallon tank and finally a 700 sf guest house. HOA Name: Cordillera Ranch Property Owners Association, Inc.